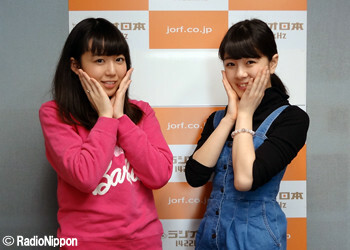 With the new year comes a new name, not just for the group, but for the radio show, as well. 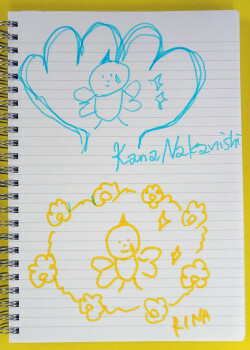 In case you don’t remember what their name means, Kananan and Rinapuu drew a picture last time to represent their new name. 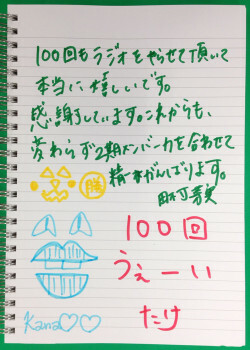 Yes, Meimi took up half the page they were given to draw on for their blog for the 100th episode of the show. Rinapuu saw this and sent it around to everyone complaining about it, but Meimi distinctly recalls being the last member to write on it, not the first, and so she was merely filling in the empty space left by the others instead hogging it all for herself. 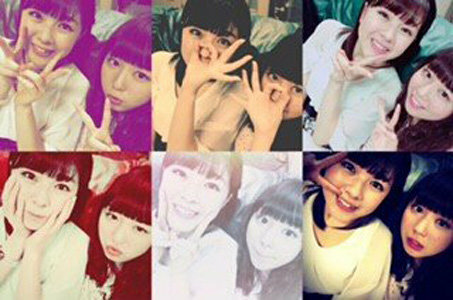 Takechan does not remember this at all, but Meimi feels relieved nonetheless to speak her peace and reclaim her good name. Meimi: Now, if only the other members would start writing more meaningful messages like I do. 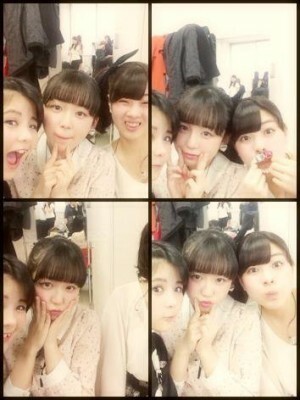 Meimi: It’s funny you say that, because you actually took up the most space out of the three of you. Rinapuu used the least, but she only drew a face. 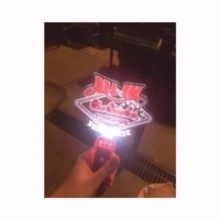 Takechan: …I really don’t remember writing it.